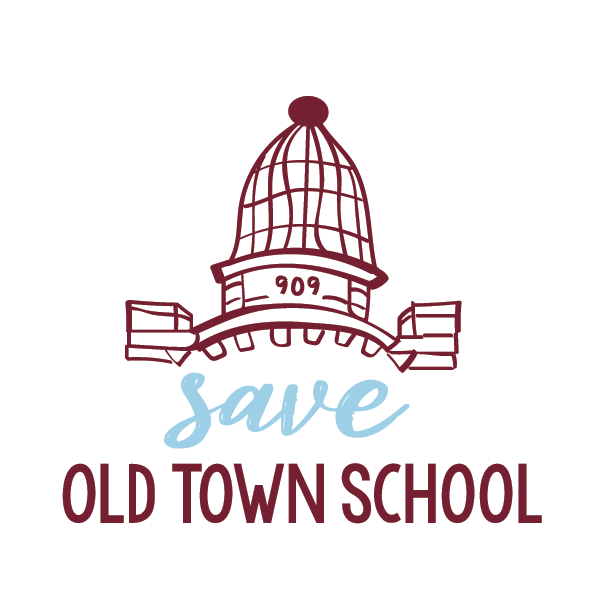 Save Old Town School had a “Town Hall” meeting on December 1, 2018. The agenda included information sharing by several SOTS members, and then open community dialogue. If you missed the meeting, or just want to refresh your memory, you can view the slide deck. The plan was for SOTS to address some of the factual questions people might raise during the community dialogue portion. But the discussion was so fruitful that we ran out of time to answer questions and said that we would provide answers afterward. Here they are. Publicly, in recent years the administration has blamed things like the increased availability of "free" online instruction through YouTube, and decreased interest in guitar-driven music. But we don't think that's what's going on. We don't have the information that Old Town School of Folk Music has, or should have, about its students and enrollment, so while we can speculate about things like increased class prices, reduced morale and fewer offerings, we haven’t been able to do any kind of complete analysis to fully understand the decline. Likely it is some combination of many things, big and small. We do know that they could be doing much a better job of marketing and of using the community to help recruit and retain students. They also eliminated things like the First Friday open house in Lincoln Square and printed course catalogs, which we think also contributed to the decline. This is at the core of what we want to help the school with. Let’s put all our heads together and get this figured out and reversed. We recognize that the profile of students at the school is not as diverse as any of us would like to see. The current administration has made efforts to reach out to other neighborhoods and communities, which we appreciate. We suspect that diversifying the student body will require a combination of new kinds of classes and targeted marketing initiatives. One SOTS member has already reached out directly to 5 major donors (friends from ensemble classes taken together) to share information about what has been happening with the Old Town School Board’s recent decisions and SOTS’ responses, and to solicit letters from them to the Board. The SOTS member will be meeting with several of these donors in a few weeks to learn more about the donors’ perspectives. A SOTS donor outreach committee or subcommittee is being formed; volunteers for this committee will be welcomed. A copy of the Old Town School of Folk Music bylaws and articles of incorporation have been posted on the SOTS website at https://saveoldtownschool.org/reference-info. In addition to taking 909 off the market, did you speak to the Board about protection for the teaching staff? Any word from them on the buyouts? We are disappointed that the school is planning to close its music store on Armitage and is continuing with its plans for a "voluntary buyout package" for administrative staff. We continue to believe that the decline in student enrollment that is driving these expense reductions can be turned around with sufficient attention to marketing and pricing strategies. We hope any other cost-cutting initiatives will be limited and temporary, and will not include staff layoffs. The full SOTS statement to the board can be found here: https://saveoldtownschool.org/nov-statement-to-board. The school is projecting a significant loss for the year and say they are trying to find ways to narrow the loss. Our message to them is that a rising tide lifts all boats. If we can work together to boost enrollment and otherwise restore the health of the school, we can reduce or eliminate the need for any cuts. The teaching staff is not being offered voluntary severance. We understand that nearly all are paid an hourly rate based on the classes/lessons they teach, and if they teach a certain minimum number of hours they are eligible for health insurance benefits. However, as enrollment goes down, or if students don't follow them to a new location, then they don't have classes to teach and their income goes down. Some may lose classes/lessons to the point that they not only lose income, but they lose insurance. Again, a rising tide lifts all boats. The key is to rebuild enrollment. We want to provide advice and, where needed, boots on the ground to help with things like recruiting new students, mentoring beginners to increase retention, etc. We are not here to replace existing employees, and we can only be effective if management is effective in utilizing us to complement the paid staff. Given the property's potential historic nature, current zoning and its relatively small site size, it probably is not a teardown and is more likely an adaptive reuse, meaning someone would buy it to reuse the existing building. The most likely uses would be conversion to mixed-use, retail on 1st floor and residential above or exclusive retail use. In both cases, significant capital is going to be spent in renovating the building. At the town hall meeting, a former administrator of the school recalled that once the Hild building (Lincoln Square west building) was up and running, those licenses were given up because at the time it was thought that 909 W. Armitage would be used only for Wiggleworms and teen programming. The administrator explained that it wasn't anticipated that there would be a need for those licenses in the future. Presumably this was a cost-saving measure. A liquor license currently is $4,400, and also requires special insurance. Unfortunately, once given up these licenses aren't easy to reinstate, with the liquor license possibly being more difficult. A liquor license likely would also require upgrades to the bar area to comply with current health department regulations. However, existing licensing does permit donation-optional concerts to be held at 909 W. Armitage similar to the way the World Music Wednesday concerts work at Lincoln Square.